A winner of Kerala and Tamilnadu State awards for Best Playback Singer as well as Tamilnadu’s prestigious “Kalaimamani” title, Madhu Balakrishnan is today widely acclaimed as one of South India’s leading playback singers. 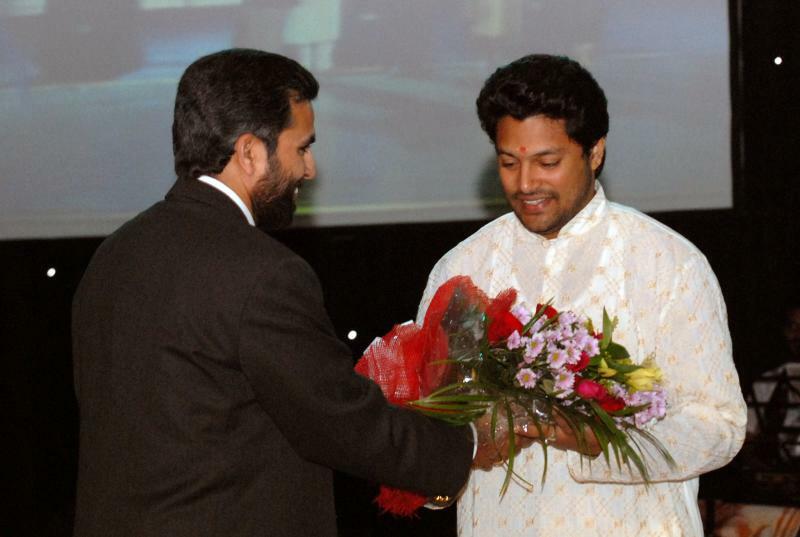 Acknowledging his foothold in the Malayalam film music industry, the Swaralaya-Eenam cultural organisation conferred on him the “Best Young Singer of the Decade” award in 2010. Nearly 20 years into his career as a playback singer, Madhu has more than 400 film songs in Malayalam, Tamil, Kannada and Telugu under his belt. The devout Hindu has also recorded countless devotional songs and appeared in several devotional music videos. Madhu performs regularly at the Swaralaya Dance and Music Festival held in Palakkad and the Chembai Sangeethootsavam in Guruvayur. 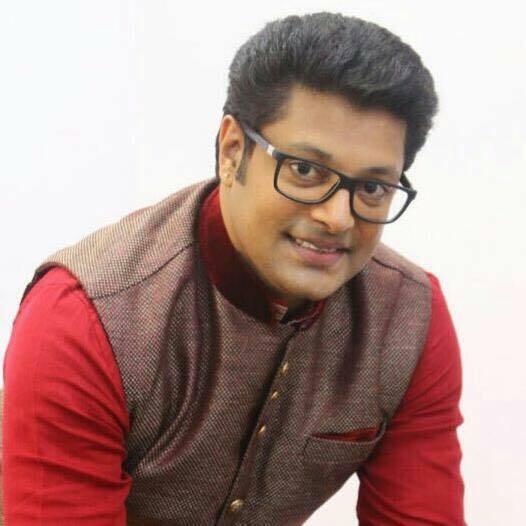 He also appears on Malayalam and Tamil television as a performer or judge of talent competitions. Madhu's fame has spread well beyond Indian shores: he has performed frequently in the Gulf region as well as in Singapore, Malaysia, Europe and Australia. He performed in Italy in 2004 with the symphonic orchestra of Illaiyaraja, who also utilised Madhu in his celebrated “Thiruvasagam” classical crossover album. Madhu's foray into playback singing began with an unexpected offer in 1995 from a Tamil composer, Shaan, who was scouting around for a new voice. Madhu was then undergoing a four-year training course at the Academy of Indian Music and Arts in Chennai. It was the academy's founder-director, T. V. Gopalakrishnan, who put in a plug for his pupil when approached by Shaan for recommendations on a new voice. The debut song that Madhu recorded for Shaan was a duet with K. S. Chitra titled "Ullathai thirandhu", from the film “Ulavuthurai”. ﻿Upon graduation from the Academy, Madhu recorded some devotional numbers in Malayalam and then landed offers to sing for Malayalam films around 1999. His first song, “Paathiraa pooveh”, went into oblivion as the film “Sisiram” was not released. Subsequently, Madhu began gaining attention when he sang for films such as “Umayapuram Sultan”. He was soon spotted and signed on by musical heavyweights such as the late Raveendran Master and M. G. Radhakrishnan. Madhu skyrocketed to fame in 2002 with the Malayalam song “Amme Amme” from the film “Vaalkannadi”. His powerful and poignant rendition of the song composed by M. Jayachandran bagged him a Kerala State Film Award for Best Playback Singer and gave him a firm footing in the Malayalam film music industry. Some of Madhu’s popular numbers in Malayalam since then include “Raveerayai pooveh” from “Rock and Roll”, which won him an Asianet award, and “Ramayanam katha” from “Pathaam nilayile theevandi”, which won him one of several Kerala Film Critics awards over the years. In 2015, Madhu set a record, singing the longest Malayalam film song at 13 mins 13 secs. The song, “Chitrathile kootukari”, is from the film “Sooryabhadra”. Meanwhile, Madhu re-entered the Tamil film music industry in 2000. This was when he caught the attention of maestro Illaiyaraja, thanks to a brief good word put in by a well-wisher who had recognised and utilised his talents, the late Malayalam musical stalwart Swaamy V. Dhakshinamoorthy. Illaiyaraja signed on Madhu to sing “Edhilum ingu iruppaan” and “Vande mataram” for the Tamil film “Bharathi”. But Madhu’s break in Tamil films came in 2003 with the Vidhyasagar hit melody “Kanaa kandeinadee thozhi” from the film “Parthiban kanavu”. Further recognition came two years later, when Vidhyasagar tapped him again, this time as the voice of Superstar Rajnikanth in “Konja neram konja neram”. The duet with Asha Bhosle from the movie “Chandramukhi” became a chart-buster. Soon, Madhu was signed on to sing for Tamil films such as “Pithamagan”, “Mozhi”, “Abhiyum naanum”, and “Naan mahaan alla”. Capping his achievements in Tamil film music, Madhu won a Tamilnadu State Film Award for Best Playback Singer in 2006 and the Tamilnadu “Kalaimamani” title for artistic achievement in 2007. One of his most recent honours for his Tamil film songs was a Radio Mirchi award in 2010 for his soulful rendition of Illaiyaraja’s “Picchai pathiram” from “Naan kadavul"
Madhu’s strength lies in his classical foundation. Although his late father and his mother were not professional musicians, both had good musical sense – mother Leelavathy had studied both music and dance. With strong encouragement from musically inclined parents, Madhu started classical training in his childhood years under Sreedevi and Chandramana Narayanan Namboothiri. He also took part in light music competitions while at school. But Madhu's classical heft has not detracted from his ability to croon soft melodies for romantic heroes such as Prithviraj and Ajithkumar. His Tamil songs such as "Ding dong koyil mani" ("Ji") , "Solli tharavaa" ("Majaa"), "Attrai thingal" ("Sivapathikaram"), and Malayalam songs such as "Palaazhi thumbi" ("Varrgam"), "Manjin veyil" ("Paapi Appacha"), "Enguninnu vanna" ("Calcutta News"), and "Chentharmizhi" ("Perumazhakaalam") well highlight his ability to modulate his deep baritones to suit the mood. In 2010, the usually staid Madhu put on an unexpectedly lively stage presence and proved his versatility by singing a wide range of songs, from classically oriented numbers and love tunes to jazzy numbers and even a rollicking dappanguttu song in the inaugural Sun TV talent competition “Sangeetha Maha Yutham”. His outstanding performances in the three-month long contest helped his team of amateur singers beat five other teams, each helmed by a playback singer, and won the hearts of Tamil audiences around the globe. 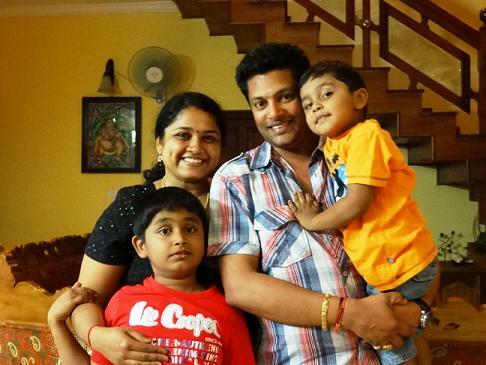 Madhu was born on 24 June 1974 in Paravur in Kerala's Ernakulam district. He and his wife, Viditha (“Divya”), have two sons, Madhav (b. 2002) and Mahaadev (b. 2009). They live in Tripunithura, Ernakulam.